Synopsis: The Prince's birthday was just like every other day in his father's kingdom-drab, gloomy, and completely colorless. Years ago the Prince's father had banned all color from the kingdom, so the Prince now received the same gray gifts wrapped in the same gray paper and ate the same gray birthday cake, while outside gray skies loomed. But when a special package arrives at his party, the Prince is surprised to see a very unusual creature emerge. Will his new pet bring a splash of color to the kingdom? 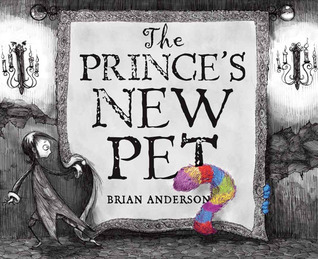 Review: 5 Stars - The Prince’s New Pet By Author & Illustrator Brian Anderson is one of the best picture books I’ve had the joy of looking at and reading. To me, the art is amazing to say the least. I couldn’t wait to see what would be on the next page and if I’m honest I’ve picked this book up a few times just for the art work alone. The touches of color in an otherwise grey and drab world were a perfect addition. Panels, like in comic books and graphic novels were also wonderful additions to the art and story. Even now, when I pick up the book I find something new hidden within the art. Anderson’s imagination and detail are just… I have no words. 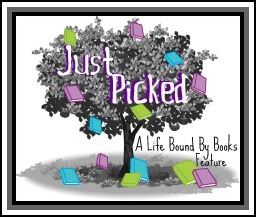 The story that accompanies the art that I can’t get enough of was a pleasure to read. I loved the names for the characters, such as Duchess of Humdrum and King Cerulean. The gist of the story is about a Prince and his father the King. The Queen was full of color and when she died the King removed all the color from the Kingdom because it only reminded him of his wife. The young prince wants color and the story goes to tell how he tries to change things, how he tries to keep some color in his life and how he wants to change the laws and rules of the Kingdom. While the copy I received was an ARC, I felt that the last page was a bit confusing and wondered if I was missing some text. In the end it didn’t bother me much because when I pick this one up, I always go right back to the beginning again for the art. I would hang this on my walls if I could! All in all, while this title is suggested for age ranges 4 to 8, I feel that this would be better suited for 8 year olds on up. I could see some of the art being a bit scary for younger readers, so I suggest parents judge this title and how their children might take the art for themselves. Enjoy! *Please note that this is feature here that I have created specifically for my blog. Should you wish to have a feature like this, please be sure to credit me or make it all your own. Thank You!